A heritage railway restoration project has launched a £40,000 fundraising bid after planners gave the go-ahead for a new workshop. Stainmore Railway Company, which is run by volunteers based at Kirkby Stephen East Station, has been given permission to build the 150ft (45.7m) workroom. But it needs to raise the money for the building, which will ensure restorers no longer have to work outside. The firm also plans to open platforms which have been closed for 40 years. 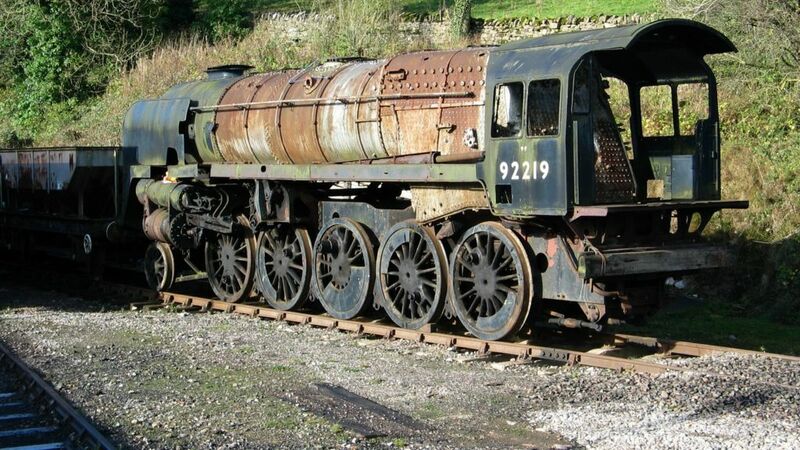 A heritage railway restoration project appeals for help to raise £40,000 to build a workshop. 77003+76049 standing at Kirkby Stephen East station with a special on 20 January 1962. The 9-coach RCTS railtour is The Stainmore Limited, organised to mark the end of railway operations over the 1,370 ft Stainmore route. View east towards Stainmore at Kirkby Stephen East station in May 2006. 47785, in very smart EWS red and gold livery, standing outside the trainshed at Kirkby Stephen East on 12 August 2012. The former D1909, withdrawn from Crewe in 2003, was one of a number of main line diesels at the Stainmore Railway site at that time but has since moved to the Wensleydale Railway. Train operations at Kirkby Stephen East use a short length of track running towards Warcop.